If you thought traveling to Copenhagen in the winter meant you’d have to stay indoors, this winter Segway tour will make you think again. Tour many of Copenhagen’s must-see sights, plus enjoy a café stop to warm up. 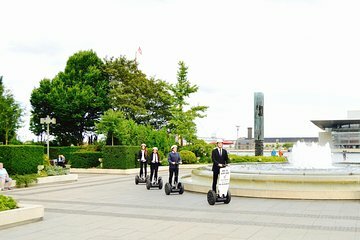 Receive a thorough safety briefing, so even first-time Segway riders can feel confident. Your guide will share their stories via a radio system so you don’t have to stop to listen. A fun tour for the whole family.